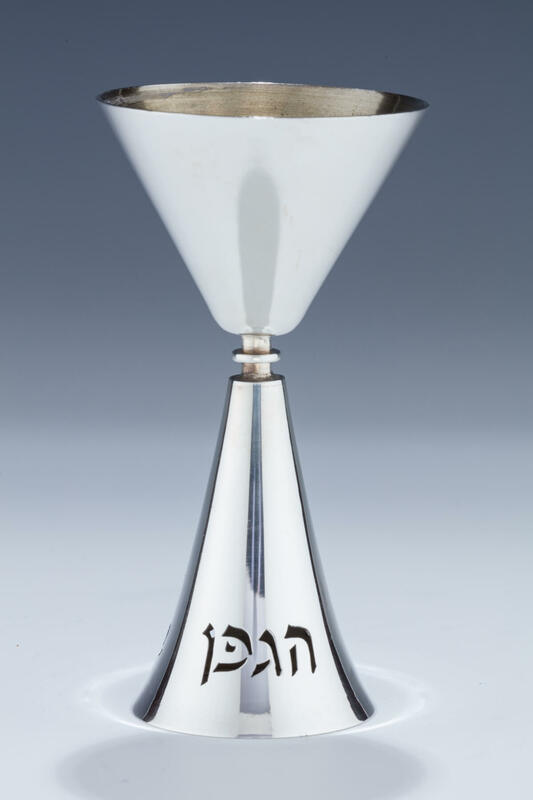 A STERLING SILVER KIDDUSH CUP BY LUDWIG WOLPERT. American, c. 1970. The base pierces with Hebrew blessing of Borei Pri Hagafen. Signed Wolpert, sterling silver. 5.9” tall.